If a brand promises that you'll feel good after drinking their zero calorie refreshment, it's usually not true. Feeling good comes from a series of habits not a quick fix whether sugar filled or sugar free, these "feel good kicks" are simply cutting corners. If you are going to listen to anyone about what makes you feel good, it should be phycologists, after all they're the ones who have dedicated their lives to studying human behaviours. 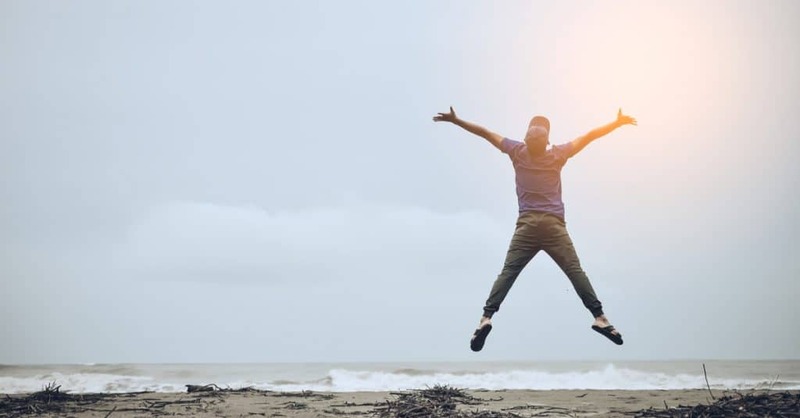 Harvard Phycologist Shawn Achor reveals, backed up by decades of research all pointing to the same thing, that there's one particular element to feeling joyful that you might not be aware of. Achor's research suggest that feeling joyful is all about generating dopamine in the brain. Dopamine has a significant influence on our feelings of happiness, wellbeing and mood. It's crucial to our happiness and joy. Low levels of Dopamine is associated with things like low mood and depression, pain, loneliness, stress and anxiety. Im not surprised by this one. We all know that exercise is good for us but this is not just for weight loss reasons. An intensive workout boosts dopamine, endorphins and serotonin, quite literally a cocktail of neurotransmitters that exist to make you feel good. Go on you're worth it. Guess what? Research has shown that dopamine is released whenever we complete a task and it doesn't matter how big or small that goal was! When we see a tick next to a task on our to-do list, it makes us happy - so aim to complete at least one task every day for a sure way to fire up your Dopamine. Have you ever noticed that you become hyper-focused when you're doing something that you really enjoy, or at the very least really care about? Phycologists say that during these times we enter a phycological state called "flow". I have written about this here.